Okay, so I'm not Ryan Gosling in The Notebook, neither am I his love interest in said movie (sob). Nonetheless, it's the quote that sums up the last few weeks for me. And my oh my, what a couple of weeks it's been! My departure from student-dom to adulthood began with a week at Red Bull Racing in the Marketing Department. It was absolutely amazing, especially as I'd underestimated just how COOL the company was. The people work hard, play hard, and were absolutely lovely; even approaching to ask me to ask them questions. 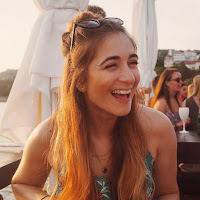 I learnt a lot, having to listen to members of the brand, hospitality, account management and communications team, and had a brilliant time in the process (as well as consuming way too much Red Bull. For the record, I recommend the new editions). I completed my project - creating a running show car event - by Thursday, which meant on Friday I experienced Silverstone, and saw Vettel - whey! Also, the team have a table football next door to their office, which they make frequent use of. I may have beaten my Line Manager at a game. Like I said, the company is seriously cool. Between saying goodbye to friends and packing, the week and following weekend were crazy with moving to London preparations. I don't think anyone can prepare you for a permanent move away from home. My brother is taking over my room as I move into his (smaller) room when I return home, but my room won't ever be my room again. Scary! And this week? Well... interning is not to be taken lightly. My role alternates between PA, product packer, unpacker, organiser, creative thinker, tally charter, newspaper-scanner and ALWAYS a sweaty commuter. Always. The amount I've had to take on board has been overwhelming, to say the least, and I'm terrified for when my lovely intern friend Sarah leaves at the end of next week after giving me a two week handover. The tube is a whole different ball game. This week alone I've been burped at, lifted off the ground due to the general scrum, almost bowled over, stared at (creepily), been made half an hour late to work because of delays, but managed to get through 2 of The Hunger Games books. So there's always a silver lining, people. I'm pretty much resigned to the fact that during the week I'll have to be as flexible as possible. That, alas, is the world of PR. Despite the rather glamorous upcoming events, the role I'm in is anything but glamorous. But it's okay, because everyone in this business has to start at the bottom, and at least I'm being paid, which is a lot more than some people can say. 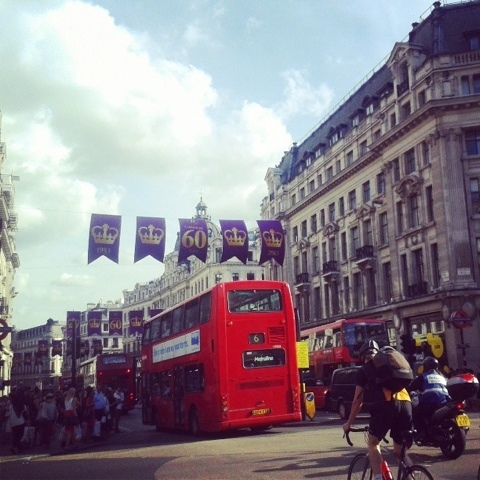 Today I went to Oxford Street with my fellow intern, and my mood lifted significantly. This is because I realised, whilst drooling over the gorgeous prints in Zara, and the Kurt Geiger counter in Topshop, and just about everything I set my eyes on (before we got sworn at by a cyclist. Oh, London), that THIS is what I'm here for. I'm here to work, but I'm here to ENJOY. Enjoy the fruits of my labour, enjoy my freedom from the stranglehold of academia. London isn't just work for me, it's a whole new life of brilliant things that I can't even imagine. So yes, my internship may end up being gruelling, exhausting, stressful and chaotic... but it's going to be worth it. It really, really is. I just need to remember that the next time I'm given a ridiculously arduous task, which will probably be... 9am Monday morning. C'est la vie! Interning sounds a helluva lot like legal work placements! And London does make everything seem better. It even makes commuting seem, like, sort of worth it? (I don't want to be too effusive in that statement, the Tube is hell). Have fun for the rest of your internship! And good things will come to you, I am sure of it.